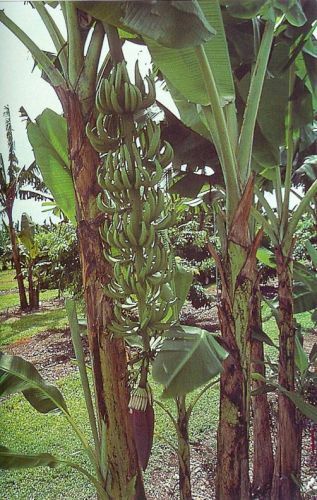 Grows 18-20' high with a long raceme of fruit up to 6' long. The bananas are slender and tart. A real novelty.